Will the Republican Convention Turn Into a Telethon? Right or wrong, the public perception of the federal response to hurricane Katrina is that it was a disaster within a disaster. People believe that FEMA and the Bush administration showed a remarkable degree of ineptitude in dealing with the aftermath of Katrina back in 2005. That’s a major reason for the curttailing of the Republican National Convention this week in St Paul – to show that in a pinch, Republicans are all business – so to speak. One idea that’s being floated by the Republicans is to get all the official business overwith on day one and to turn the rest of the convention into a gigantic telethon to raise money for disaster relief. Here’s a proposal from Righty Loosey. I’m dying to see Habitat for Humanity receive a large portion of funds raised in such an operation. On the surface it’s a generous non-partisan gesture, and in political terms it represents a grand photo-op, with the Republican party or some unnamed representative thereof handing over a giant cardboard check for millions of dollars to Jimmy Carter in front of cameras and reporters. Think about it, John McCain. This is your party now (literally and figuratively), and you can make this happen if you choose. It looks like all the chattering knuckleheads of the commentator class were wrong about Tim Pawlenty (yours truly included), and John McCain has chosen Sarah Palin of Alaska to be his running mate. One of the first and most widespread Democrat responses to this selection has been to disparage on the basis that “if McCain were a real maverick like people say, he would have picked someone unconventional, like Joe Lieberman or Tom Ridge.” This is an obvious false argument; to select Lieberman or Ridge wouldn’t make McCain a maverick, it would make him a contrarian. And McCain is too prone to compromise to be considered a contrarian. The other popular response from the dems is to run down Palin’s experience. This is a definite non-starter, since her executive experience (mayor of Wasilla, governor of Alaska) dwarfs Obama’s (zero). Say she isn’t ready to be president if you like, but she’s much more experienced and more qualified as a #2 than Barry is as a #1. Those who support the choice of Pawlenty point to his background, his achievements, and his personality. Those who oppose seem to fall into two camps: those who are farting sour grapes because they wanted Romney, and those who don’t like the pick because they don’t know anything about Pawlenty. The Romney-ites get their answer first: Romney lost to McCain, he was a bad candidate, McCain doesn’t like him anyway, so get over it. To everyone else I say this: It doesn’t matter what you knew about Pawlenty yesterday or today. It only matters what you will learn about him tomorrow, and how his presence helps the McCain campaign from now till November. John McCain has known Pawlenty for twenty years, and McCain likes and trusts him. Some of the virtues that matter the most to McCain, loyalty and honor, have been cultivated in Pawlenty for these twenty years. Ultimately, being the independent spirit he is, McCain will need someone he trusts to be loyal, to be honorable, to be trustworthy, and to be competent. That’s it, I’ve convinced myself. Not only to the point of certainty, but so much so that I’m convinced that my certainty is certainly justified: Tim Pawlenty is going to be John McCain’s running mate in 2008. 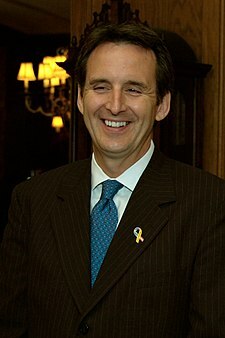 Pawlenty is a conservative Evangelical Christian with a compelling “poor-boy-makes-good” story, legislative and executive experience, and a good reputation. He’s been elected as a conservative twice in a majority-liberal state, and he’s quick with an answer and (usually) clever with a quip. Pawlenty has been a personal friend of McCain for more than twenty years, he has been a loyal McCain supporter since the very beginning of McCain’s campaign (he was the co-chair of McCain’s exploratory committee) and he stuck with McCain even during the darkest hours of the campaign when his staff was abandoning him for Mitt Romney and Fred Thompson. 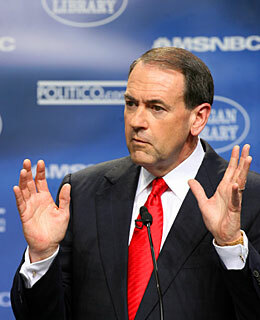 It seems that lately the chatter about potential Republican veep candidates has centered around the runner-up and second runner-up in the Republican contest, Mike Huckabee and Mitt Romney. But neither man is likely to get the nod. Despite frequent praise and compliments during the campaign, McCain isn’t going to name Mike Huckabee because Huckabee is scorned by the fiscal conservative establishment and the East Coast intellectual class. And despite the demands of the fiscal conservative establishment, McCain isn’t going to name Mitt Romney because he already knows that Romney is a man without honor – and honor is important to McCain. Romney is a plastic man, a man without principles, who only turned conservative in his late fifties when he began to eye the White House. Besides, Romney wrote the book on how to waste millions of dollars while losing an election. Pawlenty will be a darling of conservative Christians and he can pick up many of the Southern voters who would otherwise have voted for Huckabee. Pawlenty came from humble roots (unlike Romney) to put himself through college and law school (unlike Romney) and has legislative experience (unlike Romney). Like Romney, Pawlenty ran for governor in a liberal state and won, but he did it by campaigning as a conservative (unlike Romney). It would be a great public relations gift for McCain to announce Pawlenty as his running mate at the national convention in St Paul – the capital of the state that Pawlenty has been governing since 2002; the networks would have a irresistible opportunity to fawn over a new name and a fresh face in an adoring environment. 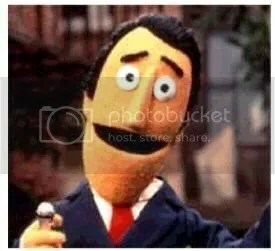 If you happened to watch McCain on Jay Leno’s show on August 25, you saw him praise Pawlenty (when Leno asked specifically about Pawlenty) by calling him a great governor with whom he has ideals and principles in common. Final clue that McCain plans to pick Pawlenty: Pawlenty has already been designated as a featured speaker on the final day of the Republican convention. Seriously, John McCain, this is no way to keep a secret!